Age cut-off based on event date 7th July, 2019. Veteran Category participant can challenge the Open Category as "16 years & above". All 3 runners will start together, not necessary cross finishing line at same time. Team 1 category only - can be Men, Women or Mixed. Time will base on total time add up, may fastest team time win. In the event of tie, 1st runner time will will be taken as comparison and subsequent. 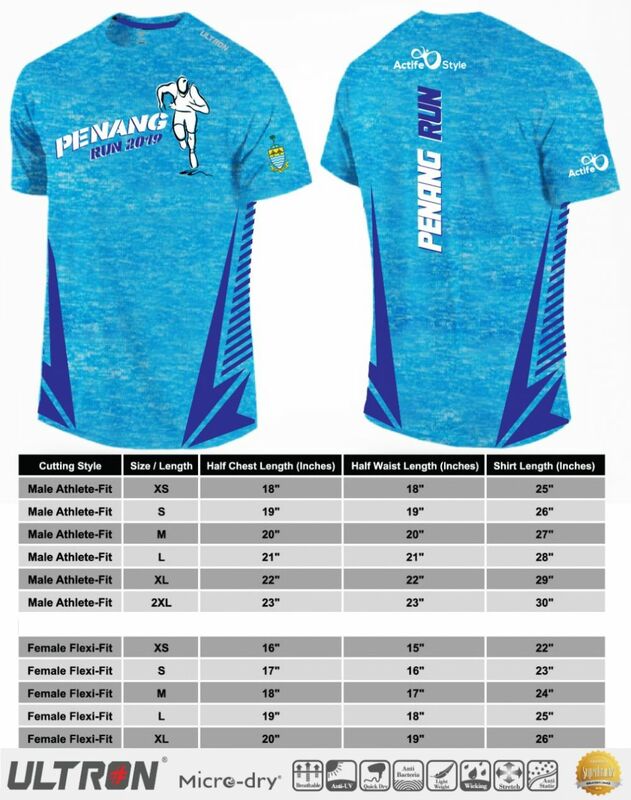 Collection of running t-shirts and bibs and other entitlements shall be held on 6th July, 2019 (Saturday) from 10:00am to 5:00pm at Dewan Sri Pinang Jalan Tun Syed Sheh Barakbah. All 32km Competition participants must be at the starting line at 4:15am, with flag-off at 4:30am. 32km Participants = km4.3, 8.3, 12.0, 14.9, 18.0, 21.8, 23.3, 26.4, 29.6 and 32.0. 21km Participants = km4.3, 8.3, 12.5, 15.6, 18.8 and 21.2. 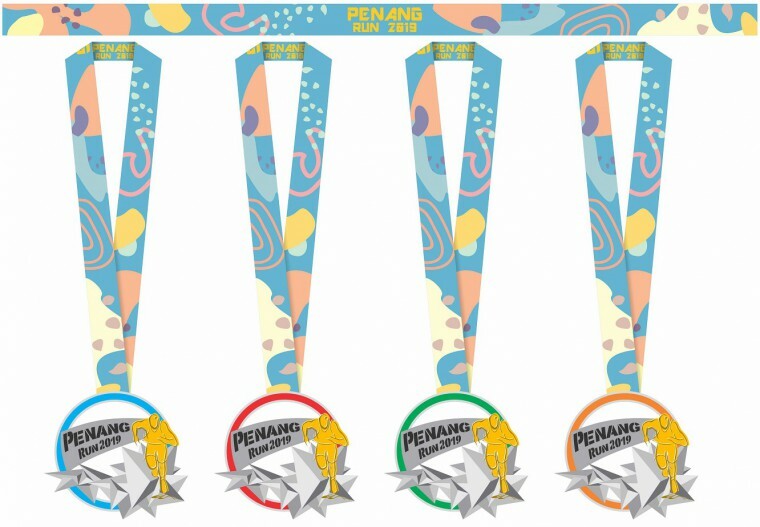 10km Participants = km4.3, 8 and Finishing line. 32km competition run is 5 hours 00 minutes. 21km competition run is 3 hours 30 minutes. 10km competition run is 2 hours 00 minutes. Family Fun run is 1 hour 30 minutes..